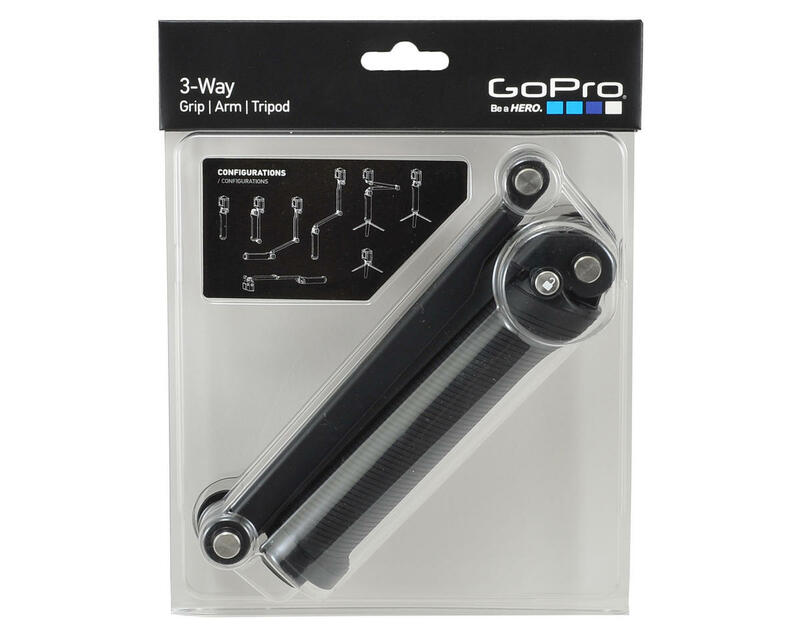 This is the GoPro This ultra-versatile mount can be used three main ways: as a camera grip, extension arm or tripod. The folding arm is perfect for POV or follow-cam footage, and makes it easy to capture selfies without the mount appearing in the shot. When detached from the arm, the handle doubles as a camera grip. 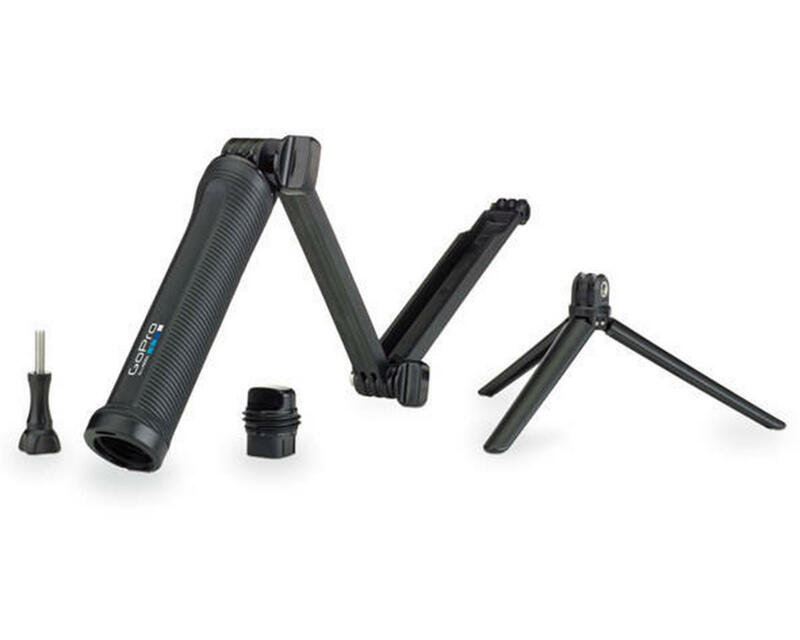 Stored inside the handle is a lightweight, mini tripod that can be removed and used on its own or combined with the handle. Expands to 20” (50.8cm), collapses to 7.5” (19cm).